The coffee finally started kicking in somewhere around the outskirts of Spokane. I had just spent the previous five days on a non-stop tour of wineries in Oregon’s Willamette Valley, then moved on to the Yakima Valley in Washington, followed by the Wine Bloggers’ Conference in Walla Walla. The only thing keeping my sleep deprived body going was a large cup of my favorite stimulant. 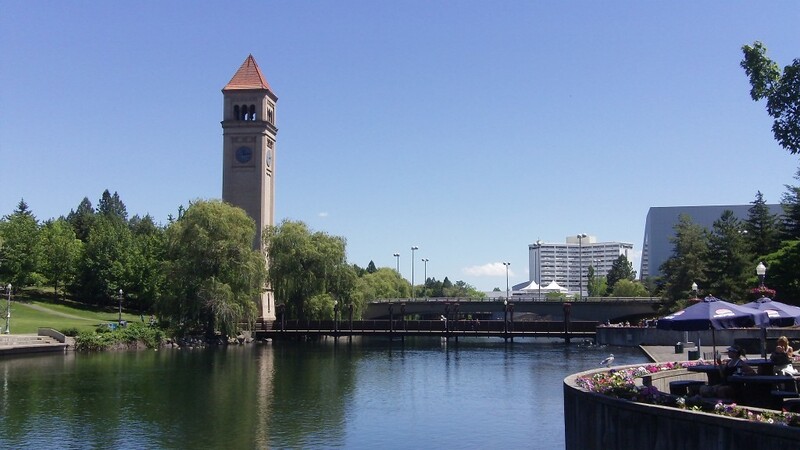 Prior to the conference, the Spokane Convention and Visitors Bureau asked another blogger and me to extend our stays in Washington to see what their city had to offer. The plan was to head directly downtown to the majestic Davenport Hotel, one of Spokane’s historic landmarks. We only had enough time to drop off our bags and change clothes before we ventured out into the warm summer evening for the first visit to a Spokane Winery. Most people don’t think of Spokane when they think of Washington wine regions, but the area has been producing quality wines for some time now and has a lot to offer visitors. The quaint downtown presents many opportunities for shopping and dining, and the scenery surrounding the city is breathtaking. Spokane, on the Eastern side of Washington, lies just outside of the Columbia Valley AVA. Although there are very few wine grapes being produced in the area, there is a vibrant wine community. Spokane is home to 17 different wineries. 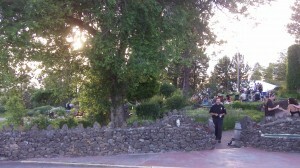 During the summer, Sunday evenings in Spokane mean that it’s time for Arbor Crest Wine Cellars Summer Concert Series. The grounds at Arbor Crest are spacious and perfect for events, and every Sunday the community enjoys good food, local wine, and great live music. The view from the cliff-top winery is incredible, overlooking the city and valley below. A fire in 2009 did extensive damage to portions of the property, but fortunately the majority of the estate was spared. They plan to complete repairs by December of 2010. Jim van Loben Sels, General Manager, poured us several of the Arbor Crest wines. The wines that stood out to me were the 2003 Dionysis blend (60% Cabernet Sauvignon, 20% Merlot, 15% Cabernet Franc & 5% Malbec) and the 2007 Syrah. I was especially drawn to the Syrah, which paired wonderfully with the burger that I ordered for dinner. The spice and dark berry notes balance with a nice bit of acidity to make for a really enjoyable Syrah. It was a great value for the $22 price tag. Our first stop the next morning was at Whitestone Winery. Whitestone is the only winery in Spokane that is currently making wines from estate grown fruit from their vineyard about 60 miles from Spokane. Winemaker Michael Haig grew up working in his family’s vineyard where he learned winemaking by apprenticing with the wineries who bought his grapes. 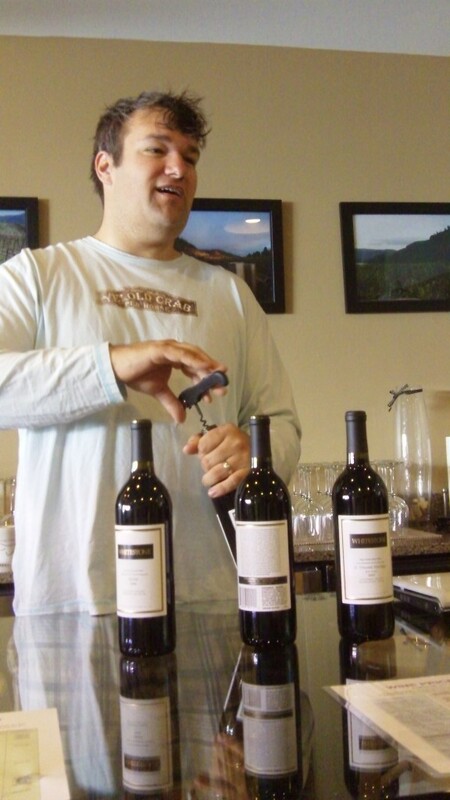 The first vintage for Whitestone was 2001 and consisted of a few cases of Merlot. The first full release was in 2002, with Cabernet Sauvignon and Cabernet Franc joining the portfolio. The wines that I tasted at Whitestone were all of very good quality. The 2006 Cabernet Franc was one of the best Cab Francs that I tasted while I was in Washington. This wine had some really great earthy characteristics and some spice to compliment the berry flavors. 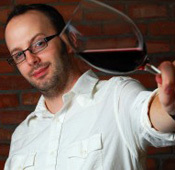 Each of Whitestone’s wines comes in at under $25, a price that is certainly within most buyers’ reach. 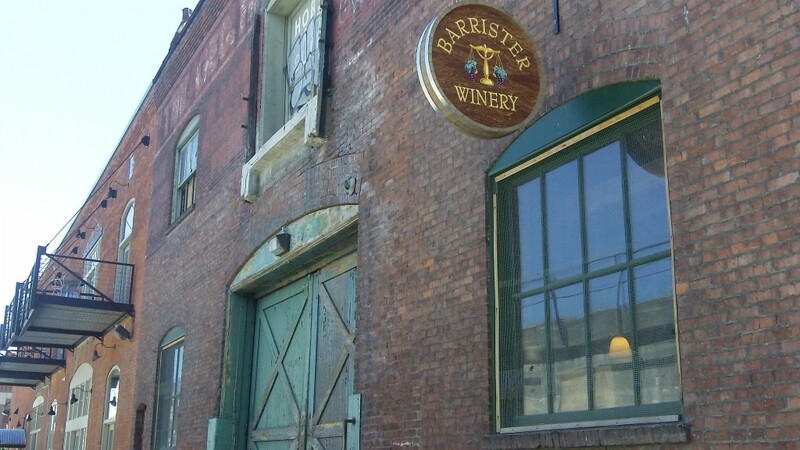 The next stop on our walking tour brought us to the door of the delightfully speakeasy-like back alley entrance of the Barrister Winery. Between the cool location and the local art decorating the walls of the tasting room, Barrister would make one cool place to hang out with friends over a glass of wine. Owner and winemaker Greg Lipsker guided a tour of the winery. Every room seemed to add to the hipness factor of this urban winery. We rode the big freight elevator down to the barrel room, where we were given barrel samples to compare the different oak treatments being used in their wines. For those of us inclined toward the more geeky elements of wine production, it is always fun to get a side-by-side comparison between wines aged in French, American, and Hungarian barrels. When it came time to taste the Barrister wines, I was again surprised at the incredible value that the wines demonstrated. None of the Barrister wines were priced over $33. I tasted several that exceeded wines I tasted over the previous week that were twice the price. There were many standouts, but the NV Rough Justice blend (35% Merlot, 28% Syrah 26% Cabernet Franc, 11% Cabernet Sauvignon) was one of the best, a beautifully aromatic red wine with great spice notes and dark fruit driving the nose. The Syrah really shines in this wine, and the value is amazing at $20. Barrister also features some great Merlot, Cabernet Sauvignon, and another of the better Cabernet Francs that I tasted in the Northwest. We took a scenic walk through some of Spokane’s scenic parks and landmarks, working our way towards Caterina Winery, recently purchased by winemaker Don Townshend. We tasted through several of the Caterina and Lone Canary wines. After we finished the wines on the docket we were offered a taste of a wine that they had not originally planned to include, the 2007 Lone Canary Late Harvest Sauvignon Blanc. I was glad that they decided to offer us this intriguing desert wine. The concentrated peach and pear aromas are joined by cut grass and green tea. Honey, citrus, and green tea carry the palate. At $15, this is another quality wine at a very reasonable price. My overall impression of Spokane was that the area is an incredible source of wine value, and a bit of a hidden treasure among Washington wine regions. There is no true Spokane terroir, but there are a number of quality wines being produced from fruit from around the state. 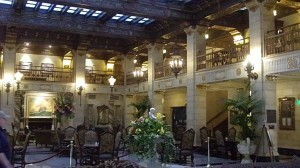 Spokane offers charming lodging, restaurants and activities, as well as great wines. 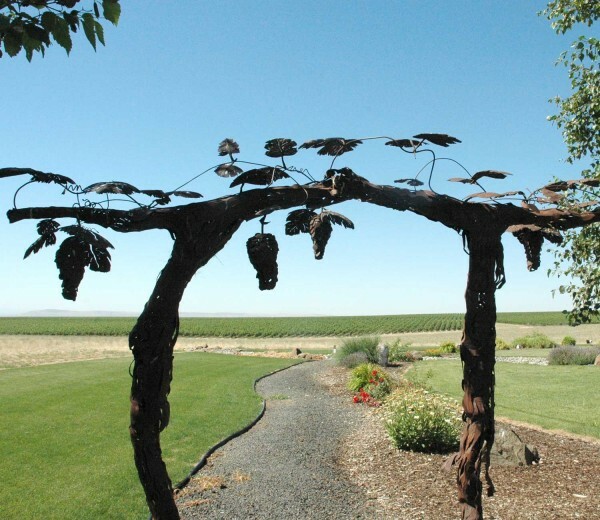 If you find yourself on the Eastern side of Washington, be sure to take advantage of the opportunity to explore this lesser known corner of the Washington wine world. I’m glad you were able to make the time to enjoy our wondeful city. It’s always great to hear someone not from here recognize what I get to enjoy every day (great wine at an amazing value). Thanks Josh, I had a great time touring Spokane. I definitely was surprised by the incredible value of the wines being produced there. The city is lucky to have such a great ambassador. I know that you were instrumental in putting together our trip out there, and you do great work publicizing the city’s wine industry on your site. Having visited, I can now understand why. I wish I could go there. Oh the irony! Cheers!